Signing up for hospitality conferences in the Midwest will introduce you to the Heartland’s splendors while advancing your travel business acumen. Bisected by Interstate 80, the Midwest is famous for tourist destinations like the Gateway Arch, Mall of America, Mackinac Island, Henry Doorly Zoo, and the Badlands. At the 2017 Hotel ROI Midwest event, industry leaders proclaimed the region a “ripe market” for hospitality development. 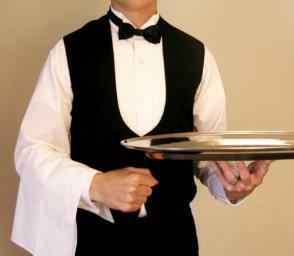 The Chicago Council reports that the 3.21 million hospitality jobs present 9.65 percent of the Midwest’s economy! Several big-name chains, including Carlson Rezidor Hotel Group, Drury Hotels, Hyatt Hotels, and La Quinta Inns, have Midwestern headquarters. So learn from the profession’s best minds by marking your 2018 calendar with the following Midwest conferences for hospitality. At the Hilton Chicago, the National Society of Minorities in Hospitality will host diverse members from 100+ U.S. chapters to its NSMH 29th Annual National Conference in February. The four-day conference lets college hospitality majors attend career fairs for meeting with recruiters from Marriott, Westin, Sodexo, Hyatt, and more. Students also benefit from resume-refining workshops, talks with Chair Cameron Scott, networking luncheons, and leadership training. Celebrating its 10th year, the Cobblestone Hotels 2018 Conference will invade Minnesota’s Twin Cities in March for two nights at the Radisson Blu Downtown. General managers from 90 locations are required to attend for breakout sessions, keynote speeches, and awards ceremonies after a Mall of America welcome reception. Billing $399 per property, it’s one of the Midwest hospitality conferences reserved for one chain under CEO Brain Wogernese. The National Restaurant Association (NRA) International Foodservice Show 2018 will take place in May at North America’s largest convention center, McCormick Place. It stands out among Midwest conferences for hospitality by focusing all four days on culinary management and delicious guest experiences. For $119, hospitality managers can attend foodamental studio demos from Kendall College, chef book signings, speeches by CEOs like Dawn Sweeney, and the NextGen Party. Costing Early Bird members $799, the Meeting Professionals International (MPI) 2018 World Education Congress will kick off in June at the Indiana Convention Center. The single-largest, most diverse hospitality conference for event planning will draw over 2,000 attendees for four days or 50 CAE-accredited hours. Don’t miss the 70+ breakout sessions, certificate program by JW Marriott, MPI Foundation’s Rendezvous, and closing celebration at Indy Motor Speedway. In October, the Hospitality Financial and Technology Professionals will hold the 2018 HFTP Annual Convention at the brand-new Omni Louisville Hotel near Churchill Downs. Offering an Early Bird discount of $750, the three-day, CPE-accredited Midwest hospitality conference will feature guest speakers like Steve McClatchy and Greg Land. Registrants can choose from 50+ breakout sessions, take CHTP exams, attend networking lunches, and join the black-tie Tribute to Success. Learn to accommodate shifting guest needs in 2018 by squeezing time for conference attendance into your booked schedule. Conferences for hospitality help you gain invaluable industry insights, hear handpicked speakers, collect CPEs, and make managerial connections. Plus, Midwestern residents from St. Louis to Cincinnati and beyond won’t have far to travel for these five great hospitality conferences.